Streaming through a TV? You’ll need one of the best PC controllers for that. The Rainway app requires very little setup to run and allows you to stream your games across a local or remote connection to any device that can open the webpage client. Rainway gives you full control over frame rate, resolution, and a bunch of other necessary settings you may need to tweak for a steady and consistent connection. Rainway’s devs also hinted heavily at Nintendo Switch support, which would allow PC games to be streamed to the handheld device. While it sounds like a match made in heaven – the Nintendo Switch and Nvidia Shield streaming box both use Nvidia’s Tegra X1 chip – it seems Nintendo have not yet confirmed support for a potential Rainway app. 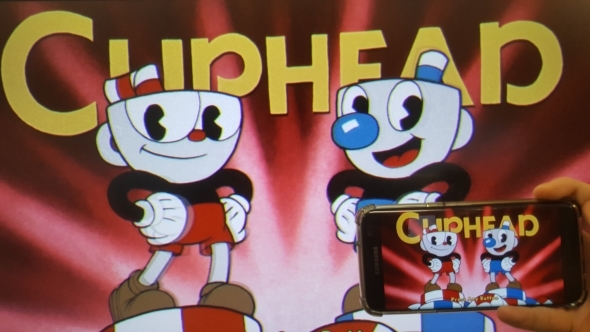 Anyways, I’m not convinced – Cuphead on Switch sounds great and all, but the Switch is far more throwable than my PC. It’s worth noting that it is still early days for Rainway, which is perhaps why the launch has seen its fair share of server-related disaster. Teething problems are always a given only moments after any launch. I managed to try the service out briefly myself. First, I used local wired connections across our office, which were subject to minimal lag. This isn’t particularly fascinating in itself as tethered streaming has been possible for a while thanks to Steam’s in-home streaming. But Rainway does open the door to non-Steam client compatible devices paired with PCs sporting non-Nvidia GPUs – it’s a niche, I’ll grant you that. My second attempt, this time using a wireless connection, was a struggle. Compared to Moonlight – the third-party app that utilises Nvidia’s GameStream protocol to carry out the same function – Rainway struggled to keep latency to a minimum. Lag was exceedingly high when streaming to a Samsung S7 Edge across 5GHz wi-fi, although with Moonlight, the same device and settings fared much better. I haven’t had a chance to test across a remote connection, but don’t expect spectacular results without exceptional network connections on both sides of the equation. 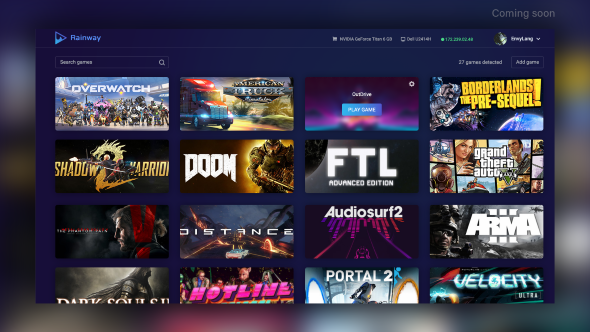 Despite the initial launch issues, Rainway has a ton of potential and offers plenty of versatility due to its minimal requirements and simple client. The competition for streaming services is really heating up, however, so it’s going to be an interesting journey for the developers of Rainway post-launch as we see how well their service stacks up against the other platforms. Rainway is open for anyone to try out for themselves over at their website. It’s worth a test run, even if just for the novelty of playing Divinity on your mobile.